Right back who has risen to fame for his international club career, including in Italy's Serie A for Sampdoria beginning in 2016. He previously won three Polish Championships with Legia Warsaw between 2012-2016. He played in Lech Poznań's youth academy between 2008-2009. He debuted professionally with the squad in 2009. He won the Polish Cup for his fourth time in 2015 with Legia Warsaw. 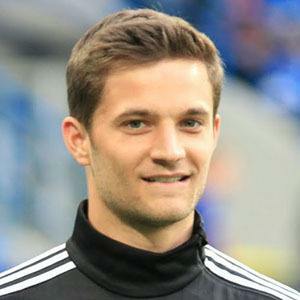 He earned caps on defense for Poland at the 2018 FIFA World Cup. His father is former Polish soccer player Przemysław Bereszyński. He and Fabio Quagliarella have played as teammates for UC Sampdoria.